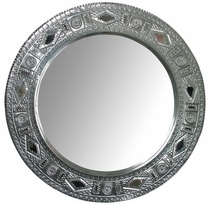 The symmetry of any Spanish colonial or rustic Mexican room d�cor is enhanced by an authentic hand crafted mirror from Mexico. 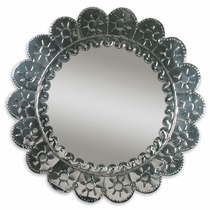 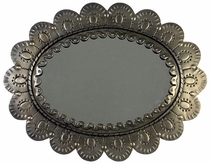 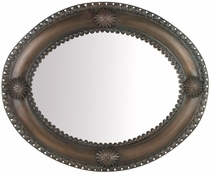 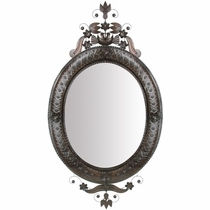 Choose from our punched tin collection of aged tin, natural tin or Talavera mirrors. 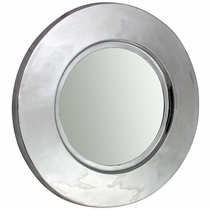 No matter what your interior design cravings, Direct From Mexico will have the oval or round rustic mirror that will capture the exact Mexican, southwest ranch or Spanish colonial look you want for that one special room or your whole house. 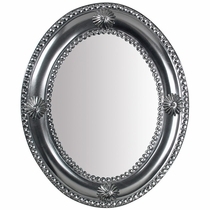 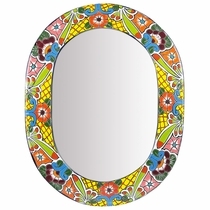 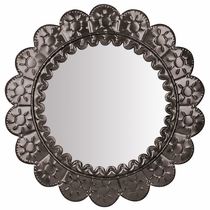 Floral Talavera Oval Mirror - 16" x 21"